Reaching the accuracy needed by micro-assembly is a challenge which requires to interface the best robotic elements (linear or rotation stages, dispensers, grasping solutions) with a high-definition industrial vision process, having them to work together through an efficient software control. Our know-how and our attention to your needs will allow us to use the latest and most accurate technologies for your application. 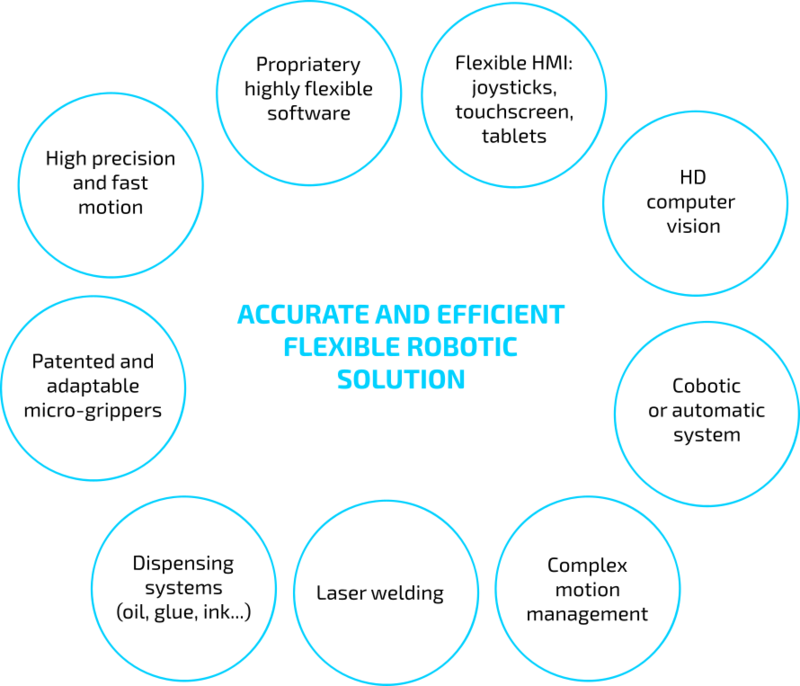 We can quickly integrate many types of robotic solutions to design the application that meets your needs. Most of these products are already interfaced with our software, therefore we are able to adapt them in a few days.